Yesterday my sweet sweet hubby allowed me a couple hours to go get my oil changed and to go sit and stitch with the ladies at my LNS. 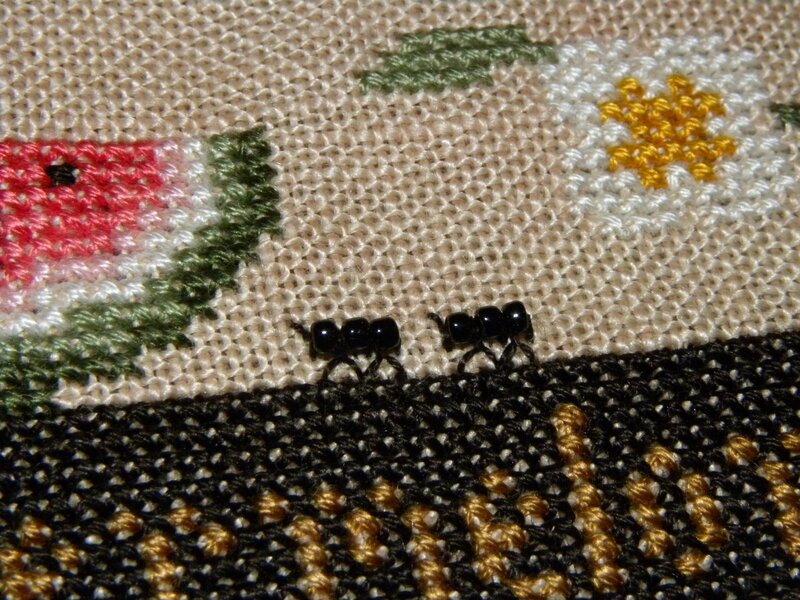 Technically the Saturday stitch-in is the 2nd Saturday of the month…but there’s a group that shows up every Saturday. I haven’t been able to go in quite a while, so it was nice to see all of those friends again! I was mostly done. 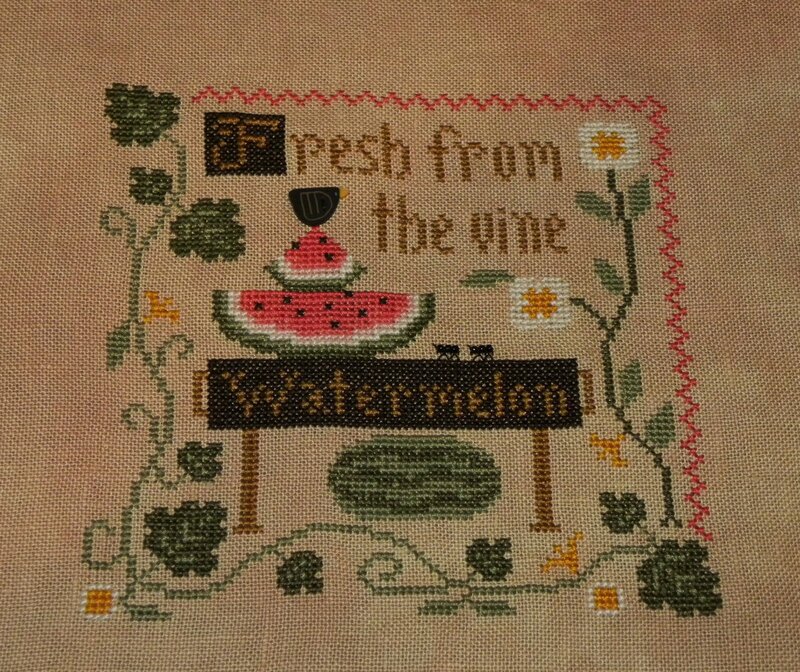 All I had to do was stitch the last couple rows of the watermelon sign and add the blackbird and ants…and then…voila! Finis! Here’s my favorite part…the ants! Here’s hoping you have a happy day!